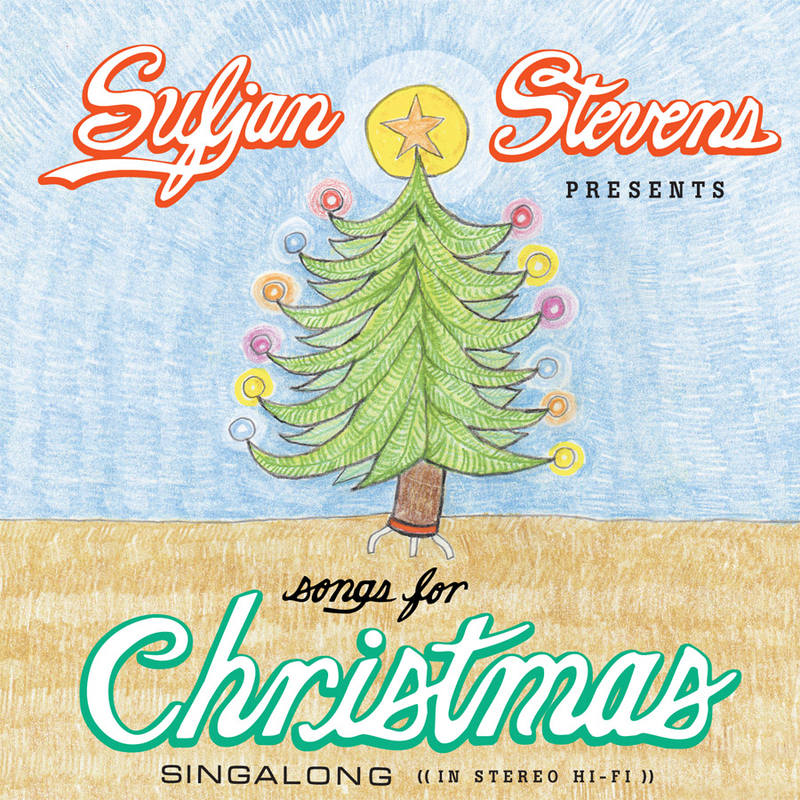 If you own Songs for Christmas by Sufjan Stevens, then you know that when you bought the album, you got a whole lot more than just music. You received a box full of Christmas cheer, complete with a comic book, stickers, and a bizarre festive fold-out poster of Sufjan sitting in with someone else’s family. One of the great benefits of this box set is the “Songbook and other stuff” that provides the complete lyrics and chord charts to play every song in the five-cd set. Well, I’m not sure whether he was merely being goofy, but if you have tried to play through the chord chart for “Joy to the World”, no doubt you were bewildered. After about a half hour of trying to play the world’s most confounding set of chords [including Ebm7 and Ab7], I almost gave up. Then I realized Stevens was pulling my leg. With Capo 4th fret and a transcription of the chords, the song becomes a song in the key of A with easily recognizable chords. I have looked, and the chords to this song are nowhere online…probably because of this fact. So, for your benefit here is the PDF, just in case you had the same problem! Hey ! thanks for you PDF ! I was wondering if you had the chords for “Holy Holy Holy”. I can’t find it anywhere.